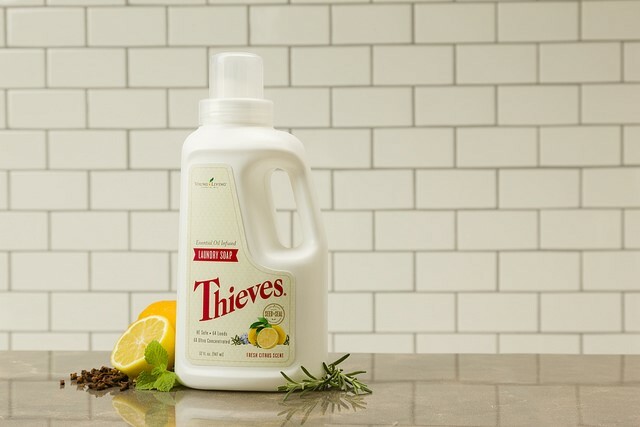 Thieves® Laundry Soap’s purpose is to provide our members with a true clean provided by a plant-based formula that is free from harsh additives. What are those additives? Here are three common ingredients that you may not have known about, plus a few tips on naturally keeping clothes white. 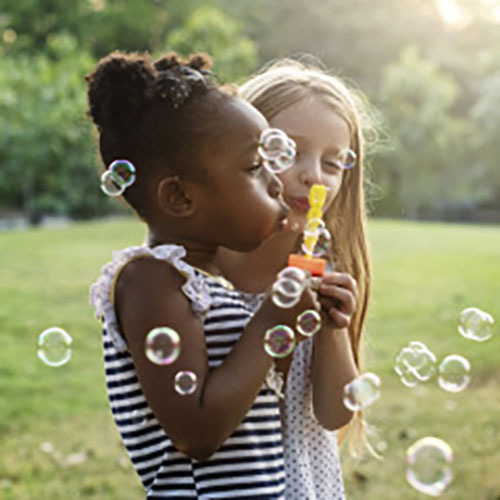 Thieves® Laundry Soap is free from optical brighteners, because you don’t want your clothes to just look clean—you want them to actually be clean! Our plant-based formula uses pure essential oils and natural cleansing enzymes to wash your clothes and keep them fresh. If you see stains on your clothes, pre-treat them before washing. Don’t mix your whites with other colours in the wash. Launder them in an all-white load and use hot water. To whiten small items like socks, fill a tub with water and a few lemon slices, bring to a boil, turn off the heat and add linens. Soak for up to an hour, then launder as usual. For an extra bright boost for whites, hang them dry in the sun for natural bleaching! Sodium lauryl sulphate, or SLS, is a cleansing agent widely used in products like soaps, shampoos, toothpastes and laundry detergents. It is used so often because it’s inexpensive and produces lots of foamy lather. Many people are concerned about SLS in their products because it can sometimes cause irritation, itchiness and may have other unknown side effects. 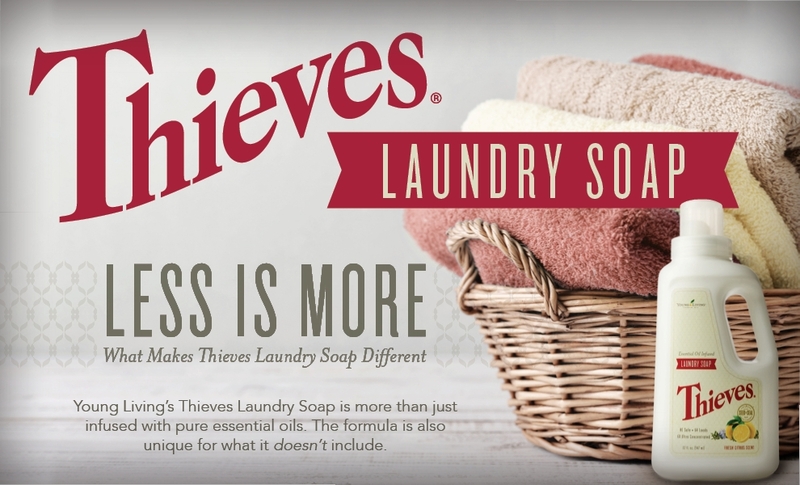 Thieves® Laundry Soap is free from SLS and other sulphates. 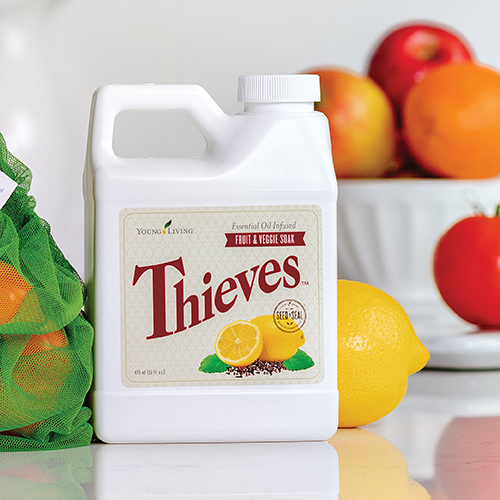 The cleaning power behind Thieves® Laundry Soap comes from pure essential oils and natural enzymes. Some people consider synthetic perfumes to be problematic because companies aren’t required to disclose the exact ingredients in the fragrances. But as the world leader in essential oils, we prefer to work with the refreshing scents of the pure essential oils that set us apart. Bergamot, Jade Lemon and the essential oils in our Thieves® blend provide a refreshing scent without any hidden synthetic fragrances. I love my Thieves detergent and will never use anything else Promise!! !